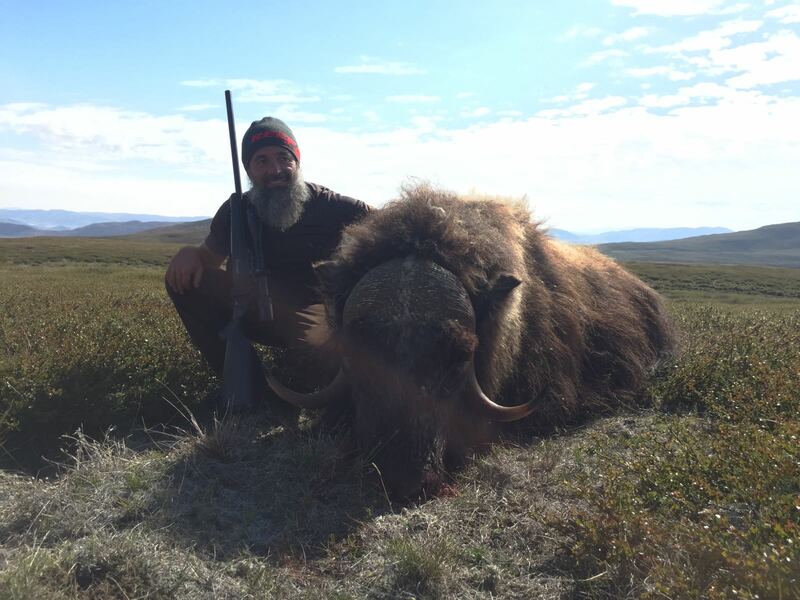 We have 100 % success on our Musk Ox hunts. 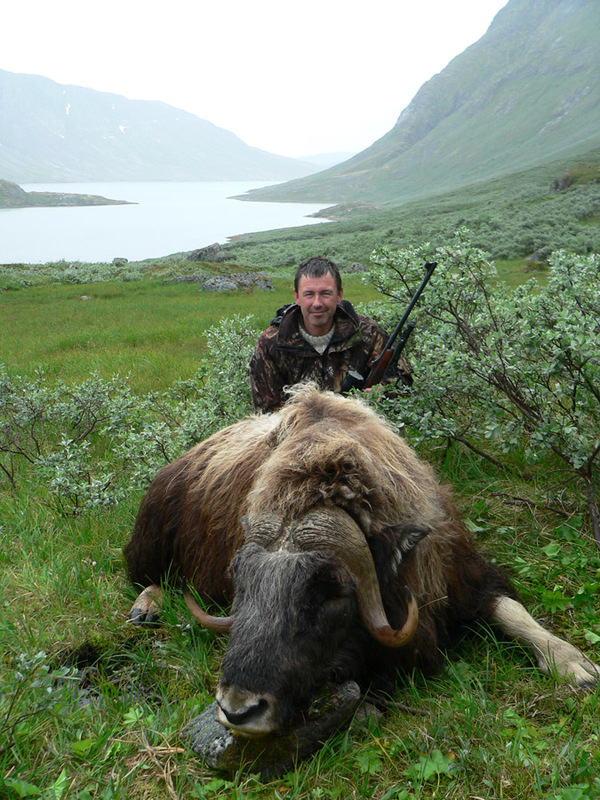 We offer you a hunting adventure in the worlds “last frontier”, with glacier and inland ice as background. You will stay in tent hunt camp in the wild during our hunt, the camp is equipped with canvas tent, field toilet and field beds. 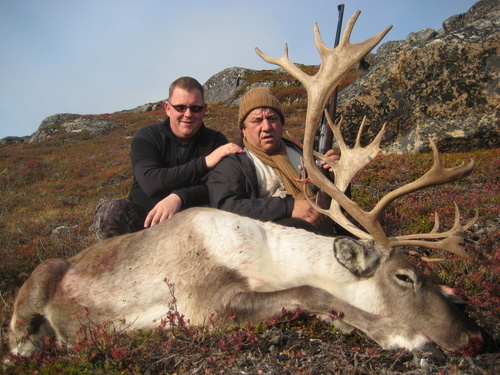 We hunt on foot in tundra and mountain terrain so your physical health must be good and you must be able to carry your trophy app. 20 kg over long distance app. 3-5 km. Transport to hunt camp is on ATV, car or power boat depending on hunting. 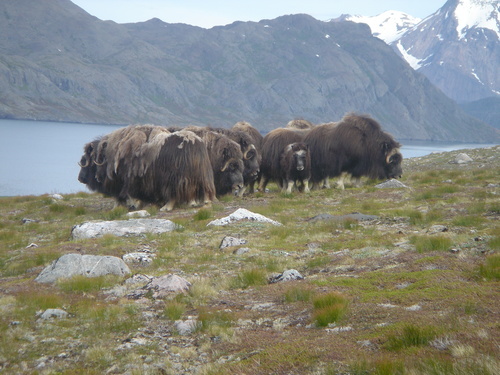 We hunt only large old musk ox bulls, they roam in the valleys near the icecap. 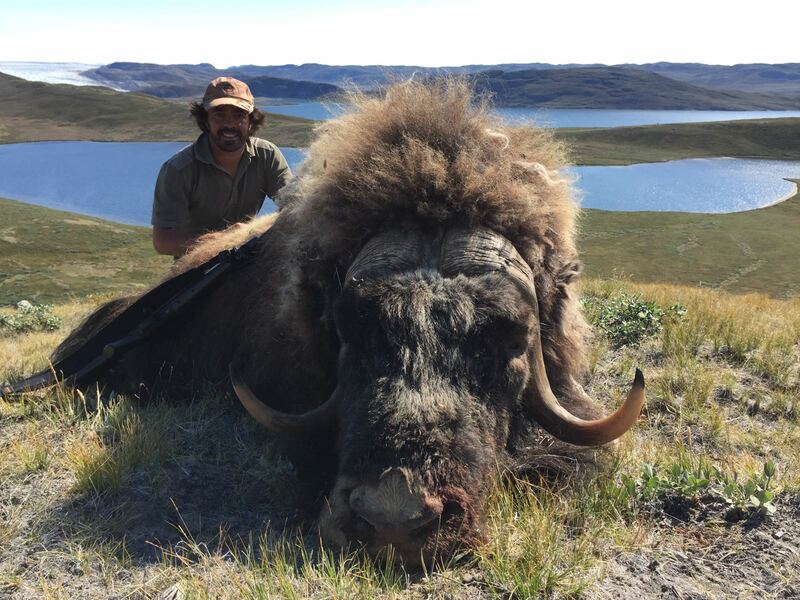 When hunter and outfitter have agreed and pointed out a good trophy, we stalk the animal. Success rate is 100 %. 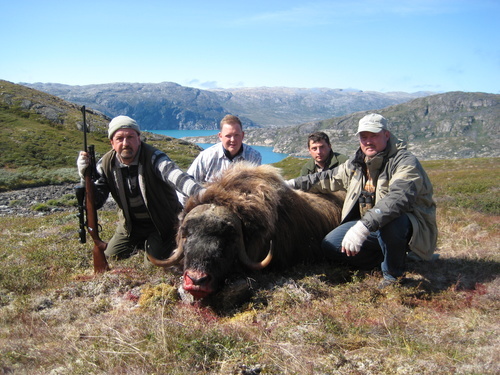 Because meat and trophy must be carried to camp, we shoot only one musk ox a day. The trophy hunter must be able to carry the trophy (head app. 30 pound), it is expected that the hunter helps butchering. The hunter must be in good physical shape. 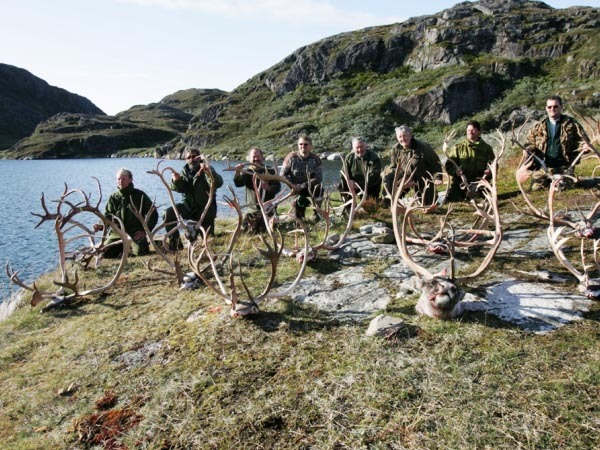 Caribou trophy hunt on good trophies is “hard work”, we trek on foot and follow the caribou herds in the high mountains and setup fly camp as we trek the Caribou. Caribou hunt is hard work. The big bucks can be difficult to approach. Smaller bucks are often seen alone and are easy to hunt. Success rate 80 %. 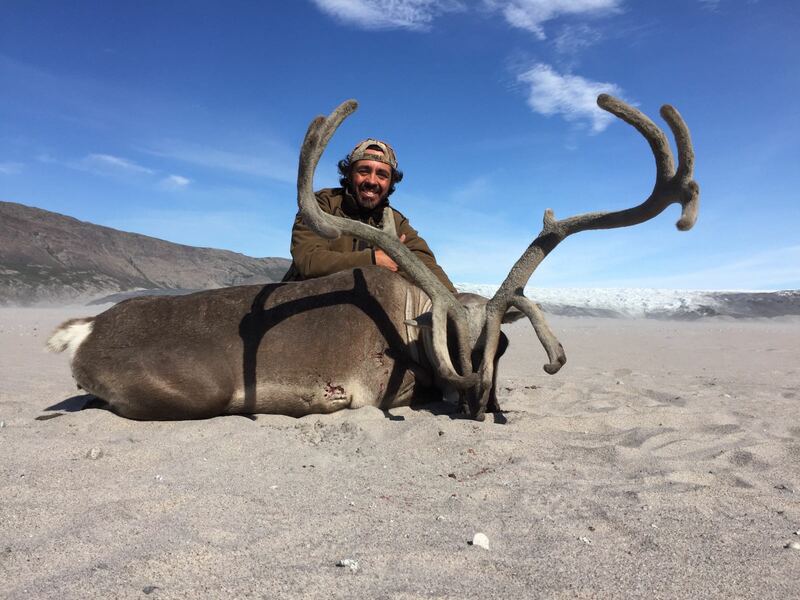 We shoot only 2 bucks pr day because trophy and meat must be carried to camp. Shooting distance are app. 150-200 m.
Robinson River is one of the best arctic char rivers in Greenland famous for its very big arctic char. The arctic char fishing is best in July and August and all so the weather, our camp is placed few meters from the river. The average size of the char is between 1 – 3 kilo but we get every year arctic char bigger than 5 kilo. Caught on light spinning or fly fishing gear you get the ultimate fight. Trophy (head and head skin) belong to trophy hunter, meat belongs to outfitter, but it is possible for the hunter to bring out app. 15 pounds of meat. This must be pre-arranged with the outfitter before hunt. 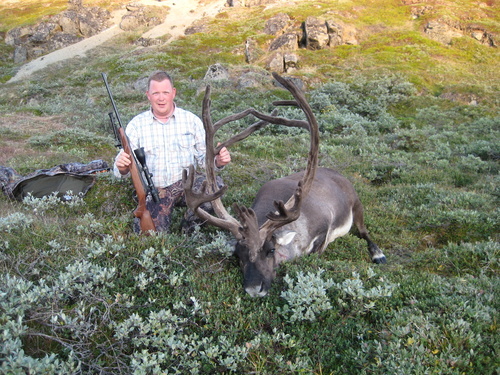 We can arrange contact with first class trophy taxidermist in Denmark. North safari will take care of documentation related to transfer of the trophy. All cost are payable by trophy hunter. 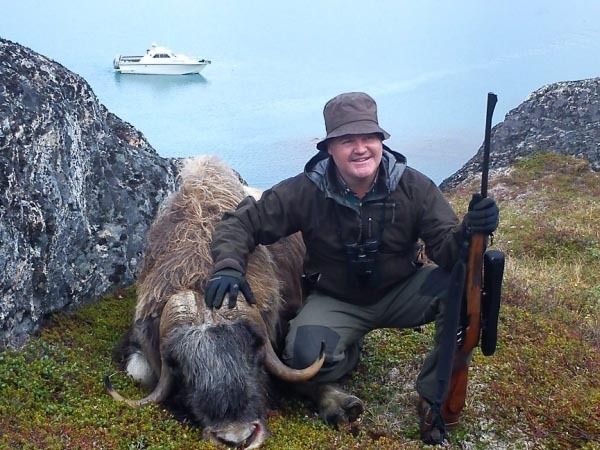 Small game (arctic hare, seal, grouse and polar fox) can be hunted without extra charge. 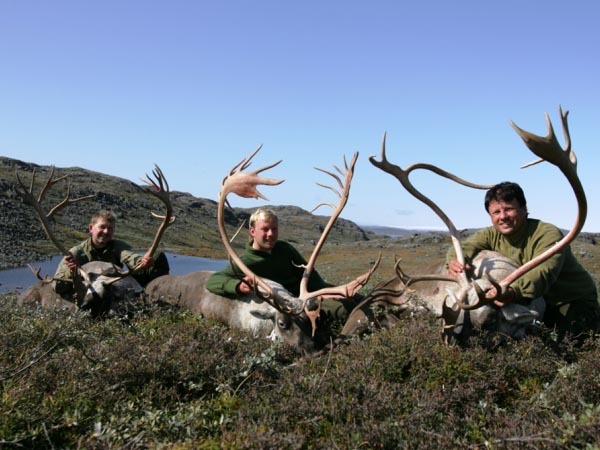 Information must be given to outfitter before hunt.